Mulberry plant (lat. name Morus alba) is one of the oldest well-known medicinal plants in the world. In the traditional Chinese medicine, mulberry has been classified and listed as a versatile medicinal agent more than 5000 years. It’s also be mentioned in many historical books, such as in the Bible. There are 16 species of mulberry trees growing wild and under cultivation all over the world—in tropical and subtropical world regions, but also in many northern regions with a temperate climate. The main cultivation area of mulberry trees is still in China. 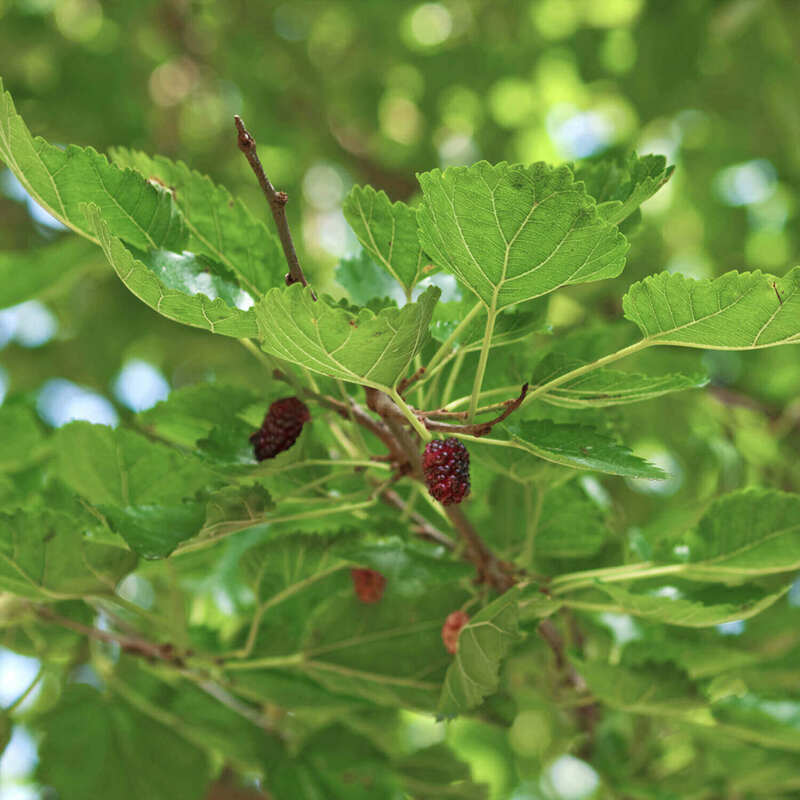 Where do the mulberry leaves used in Morus Vida come from? Our mulberry leaves come from mulberry trees grown in a mission station in Laos. The leaves are handpicked and dried in shadow. The plants are neither irradiated nor rinsed with any pesticide. Which substances do mulberry leaves contain? Mulberry leaves contain many phytochemicals, including the natural 1-Deoxynojirimycin or known as DNJ. This is an active substance most commonly found in mulberry leaves, which otherwise never appears in any other plants. Mulberry leaves also contain glutamic acid—a non-essential amino acid. DNJ is an alpha-glucosidase inhibitor. Alpha-glucosidase is an enzyme located in the brush border of the small intestine that breaks down carbohydrates (disaccharides and polysaccharides) into glucose (monosaccharides), which can be then absorbed through the intestine into the blood. DNJ blocks the enzyme and prevents its digestion of carbohydrates into simple sugars, thus reduces the blood sugar level after meals. It also inhibits the membrane-bound of glucose-molecules on the haemoglobin, therefore slows down the glucose transportation into the blood. Last but not least, DNJ is able to repair the impaired pancreatic islet cells that produce insufficient insulin— an increase of the insulin within the body leads to decrease of the excess glucose in the blood, which would be otherwise toxic; and the regulation of an improved metabolism is also enabled. All in all it can be said that DNJ has, in a threefold way, very positive influence on the blood sugar level in our body. Glutamic acid is a non-essential amino acid, which serves as the precursor of the inhibitory gamma-aminobutyric acid (GABA) in the body. Once glutamic acid has transformed into GABA, it will inhibit a certain substance from raising the concentration of glucose in the bloodstream, as a result, prevent the blood sugar level being elevated. Just a quick note: this specific substance, also produced by pancreatic cells, its effect on the blood sugar level is exactly the opposite of insulin. People with a tendency to diabetes mellitus usually have an increased level of this substance as well. 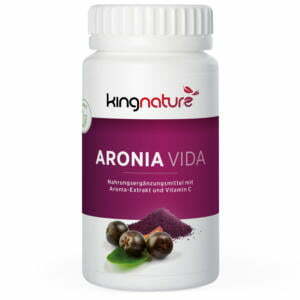 Morus Vida contains 72 capsules each with 600 mg mulberry leaf powder (Morus alba) and 60 mg acerola extract, which is rich in natural vitamin C. Contents 49 g net. The raw materials are micronised in the mixing process, i. e. they are crushed to a grain size of approx. 60 micrometers without being heated. We exclusively use vegi capsules made of vegetable material (HPMC) containing no gelatine. Morus Vida availability – in Stock. Morus Vida is also available at your pharmacy or drugstore (Pharmacode 7287631).